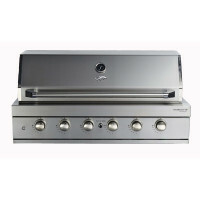 Australia’s Stainless Steel Barbecue Specialists! 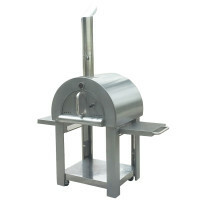 Why buy a ChefMaster BBQ, Outdoor Kitchen or Pizza Oven? 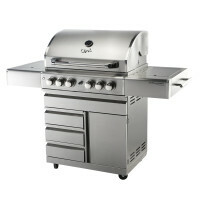 We are local, know BBQs inside out and are available for advice and assistance 7 days a week. 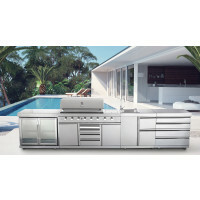 Our BBQs are designed by us specifically for Australian conditions. We use 304 grade Stainless Steel for all of our models – Nothing powder coated to rust away. 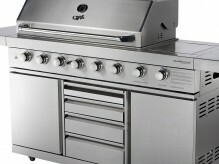 Our barbecues are fully pre-assembled, not “flat packed” so no assembly nightmares! Deal with a hands-on family run company that provides ongoing service and support. We only sell what is in our warehouse NOW. We don't take your payment and then advise of delayed delivery! We can deliver Australia wide or you can collect from our Sydney warehouse. 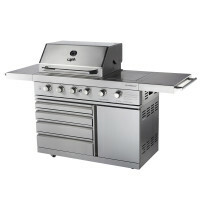 The BBQ market today is very confusing with dozens of models that look the same or very similar and with prices that range from apparent bargain to very expensive. The fact is that there are many inferior grades of stainless steel now being used in BBQ manufacture and some of these grades are downright rubbish. If you want just a make do barbie that will last a year or two then throw it away and buy another, you probably should not be looking at our brand. But if a long term quality product is at the forefront of your purchasing criteria then we invite you to browse our product range pages. 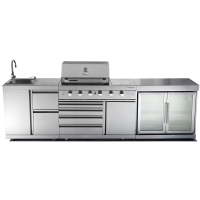 Our philosophy has always been to build the best barbeques and outdoor kitchens that we can while always keeping in mind affordability. 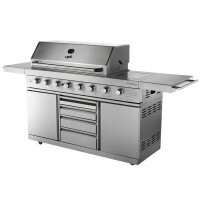 We are very confident that we are offering the best built and best optioned BBQS available in Australia today at anywhere near our prices when comparing build quality and features. The Ultimate Outdoor Cooking Experience!